Richard Dutcher’s newest film gave 23 aspiring producers a chance to get hands-on experience in every facet of filmmaking. For almost two decades, Richard Dutcher has been the writer, producer and director of some of the most highly-acclaimed independent films in the industry. He’s learned the ins and outs of what it takes to get a product completed and into the marketplace. Starting with “God’s Army,” and continuing with films like “Brigham City,” “States of Grace,” “Falling” and “Evil Angel,” Dutcher has raised the bar and set the standard for independent films he’s taken from start to finish. His latest project is, in many ways, his most aggressive yet. It’s also potentially a game-changer for him, and many of the crew members who worked on it as a labor of love last summer. With “The Boys at the Bar,” he created an opportunity for 23 aspiring producers to learn every aspect of the filmmaking process. It was a dream and a goal of his for several years. A few weeks later, in November 2011, they met for the first time in a law office in Salt Lake City. They called themselves Project 23. Their goal was to raise $150,000 for initial production costs, a goal they met in less than 90 days. Dutcher immersed them in every facet of the process—key crew positions on set, creation of a plan for marketing and distribution, and particularly the fundraising. 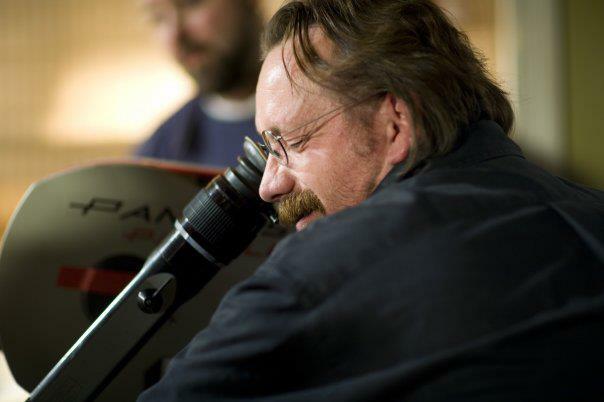 His reputation within the industry helped land legendary cinematographer Bill Butler to the digital production (Dutcher’s first digital effort). Butler’s credits include “One Flew over the Cuckoo’s Nest,” “Jaws,” “Grease” and “The Conversation.” Veteran actor Bo Hopkins came on board for one of the lead roles, as did actress Scarlett Keegan. Other veteran crew and cast members added their expertise and guided the student crew as the film began shooting right on schedule, in May of 2012. The film is set in one location, was shot in the course of a single week and includes a full 25 minutes of improvised material. “It needs color correcting, sound editing and mixing; a score, music rights to purchase, a key special effects shot to be created, and graphics work,” he says. “Candidly, we need more than $30,000, but that’s the goal I’ve set to raise to finish the film.” He has to raise the money by May 19, or none of what has been pledged towards that goal will be realized. As of today, he has a little over one-third of that amount pledged. As far as Project 23 is concerned, it’s an unqualified success in his mind. “Those that [stuck with the class] learned how to make an independent film and did make an independent film,” he says. While Dutcher is proud of the film and proud of his students’ educations, he also hopes that Project 23 won’t stop here. To contribute to Dutcher’s efforts, visit the Kickstarter website and make a pledge by May 19. A number of gift packages are available for those who contribute to this effort.